On September 27th the Federal Government approved Petronas' Pacific Northwest LNG project. But the fight is far from over. Now the real work begins. With our First Nations partners we need your help to challenge PNW in the courts to ensure critical steelhead and salmon habitat of the Skeena Estuary remains free of LNG. Here's how you can take action today! 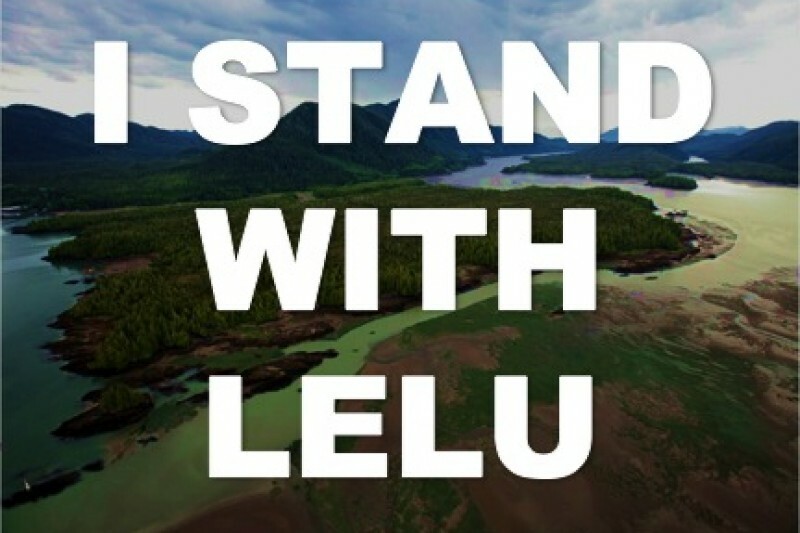 Protect Lelu Island by Donating to Legal Fund! On September 27th the Trudeau Administration approved Pacific Northwest LNG on the most important salmon habitat in Canada. 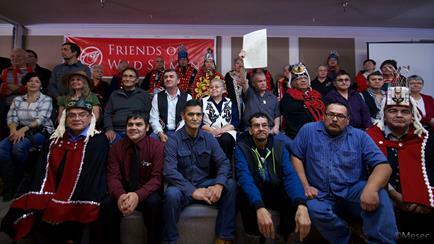 First Nations and conservation groups are preparing to challenge the approval in federal court, but we need your help. The funds raised will support legal challenges to secure a healthy future of the Skeena Estuary and wild salmon. Please donate through our GoFundMe campaign. Read more about PNW LNG here! 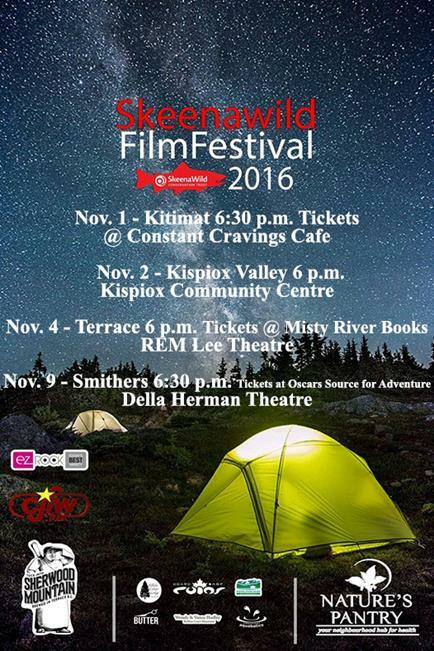 The 2016 SkeenaWild Film Festival is coming to a community near you! SkeenaWild Film Fest will showcase films and photographs of visionaries, thinkers, movers and shakers from the Skeena Watershed and beyond! The SWFF is quickly becoming one of the premier outdoor adventures film fest in Northwest BC. The festival will feature Wild people, Wild places, and Wild things from this wild world. Check out the 7th annual SWFF website for more details. Are you a salmon person? 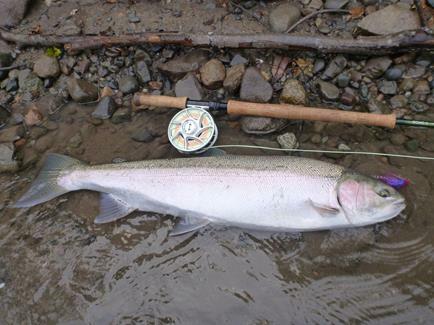 Do you have a Salmon Story? If so, we want to hear about it. 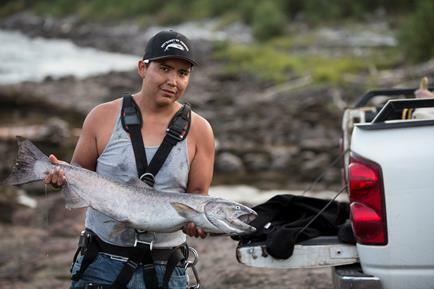 Recently Skeena Wild launched a new project, Salmon People to explore and express the passion and connection people living in the Skeena Watershed have with the rivers and salmon that surround them. What's your funniest, most outlandish adventure with salmon? Tell us your story. The Great SkeenaWild Summer Giveaway has finally come to an end. Congratulations to Jennifer Watt from Parksville, B.C., the final winner of the Great SkeenaWild Summer Giveaway Contest. Jennifer gets to enjoy an Echo spey rod and some SkeenaWIld swag! Thanks to everyone who participated, we had over 700 entries throughout the 2016 season. Keep your eyes peeled for more contests and giveaways in the near future! 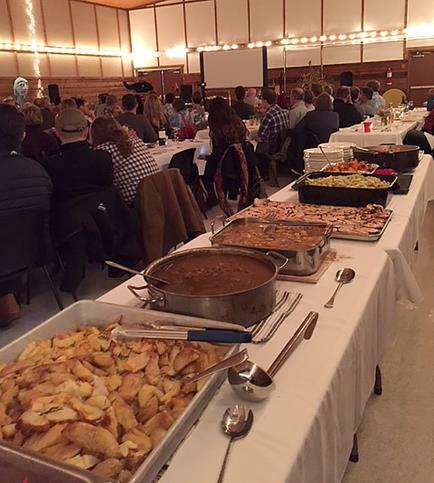 Skeena Wild's annual gala event, Après Skeena, raised $35,000 for a legal fund to challenge Petronas' PNW LNG project. We had more than 70 people who attended from all over the country and beyond. Their dedication and passion for the Skeena River and wild salmon is crucial in protecting a place we all love. A big Thank You to all those who attended and made that night possible! 2017 Skeena Wild Calendars are coming soon! 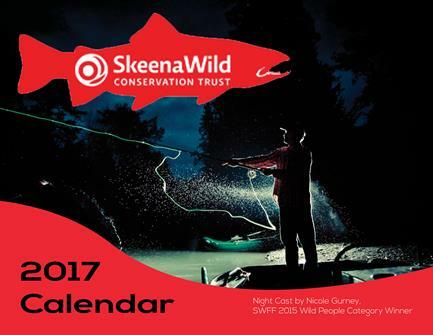 This year Skeena Wild will be issuing another great calendar for 2017. It'll feature spectacular images from around the Skeena watershed from the 2015 Skeena Wild Photo Contest winning photographers. The calendar will make a perfect gift for the holidays and will be available in November. Special thanks to Chase Thompson of CMP Manufacturing Ltd in Terrace for becoming a monthly donor of SkeenaWild. We appreciate your support and LOVE the work that you do. Become a monthly donor of SkeenaWild.